This is excellent blend of furniture with purity of structure plus result of leaching outstanding job. System laundry contained in this machine performed perfectly with no defects to ease your life. Having ergonomic concept with it pure volume and minimal structures in durable steel frame. Your house is modern really should consider to have a contemporary sink equipment. 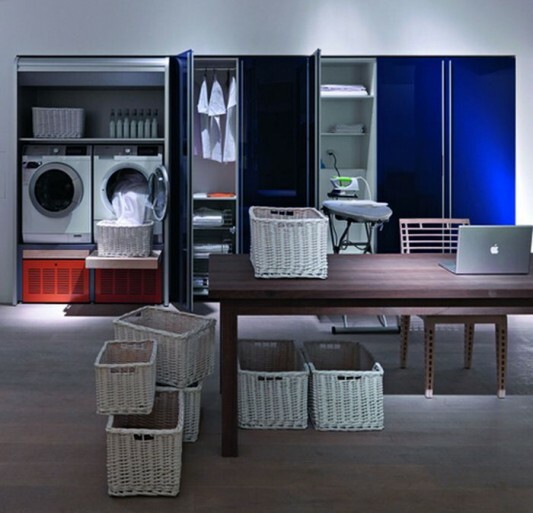 Valcucine will always consistent on the concept of the future that takes you to the practical life. 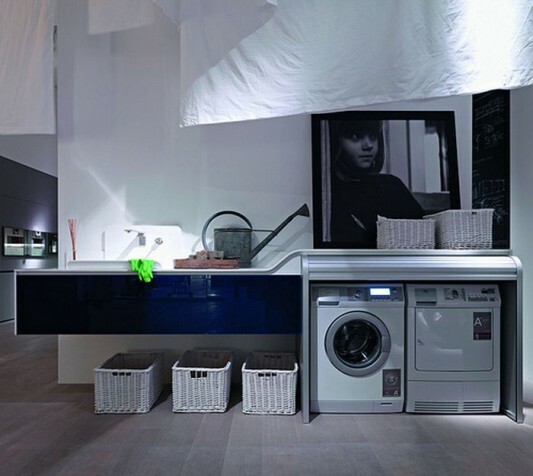 Long laundry offers plenty of storage with the idea of laundry a beautiful ergonomic design of furniture. In this tool you will get not only a function of washing machine, but the following new units to house equipment that accompanied the long kitchen table for completeness and jumbo drawer ironing board. The advantage of this engine is the vibration damper and dryer into the recesses of the laundry basket at the bottom of the phone. You’ll also get a hanger rail for a lot of shirts that fit. 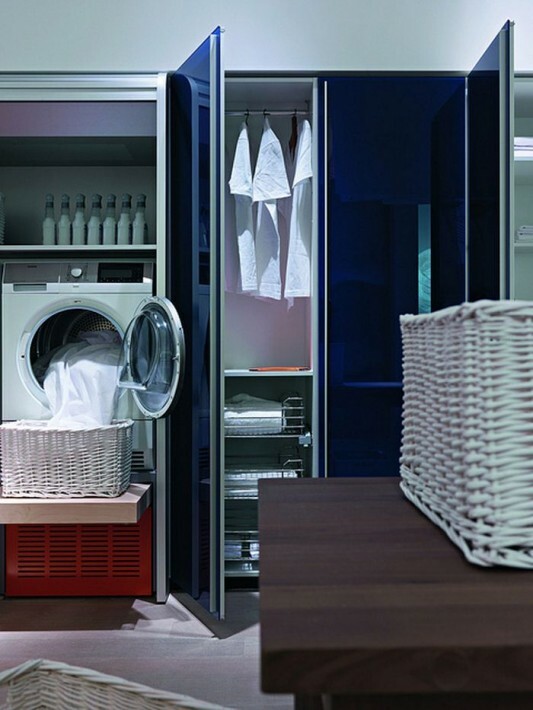 Also wash cabinet with drawers for clothing are given that have been folded. Long laundry provide superlative care when you are washing all kinds of fabrics, the fabric is good up to the most delicate fabrics that may have been worried if you wash them by machine. 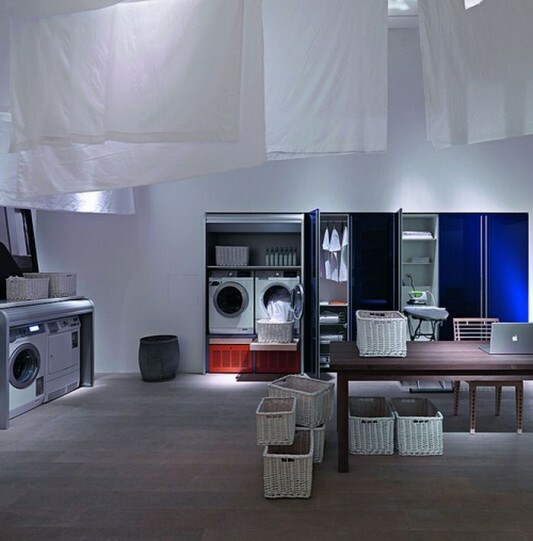 Valcucine versatile household furniture has been exhibited at the Milan Design Week , and you can have to complement your home interior or laundry who want a home-based business.